It lets the operator effortlessly control the equipment to ensure an efficient and safe operation. 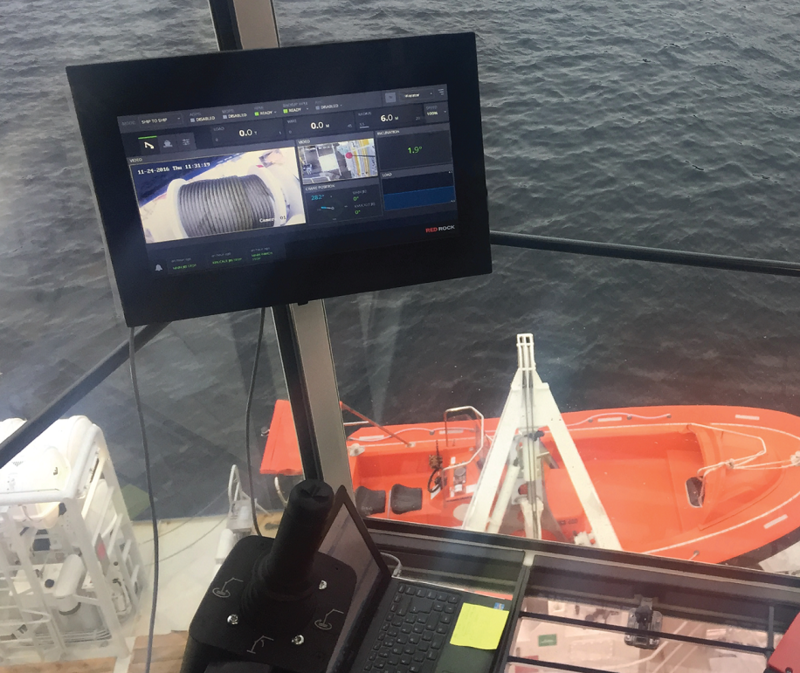 The control system takes advantage of the best technology from all industries, and merge them together in a state-of-the-art system for marine and offshore lifting and handling operations. 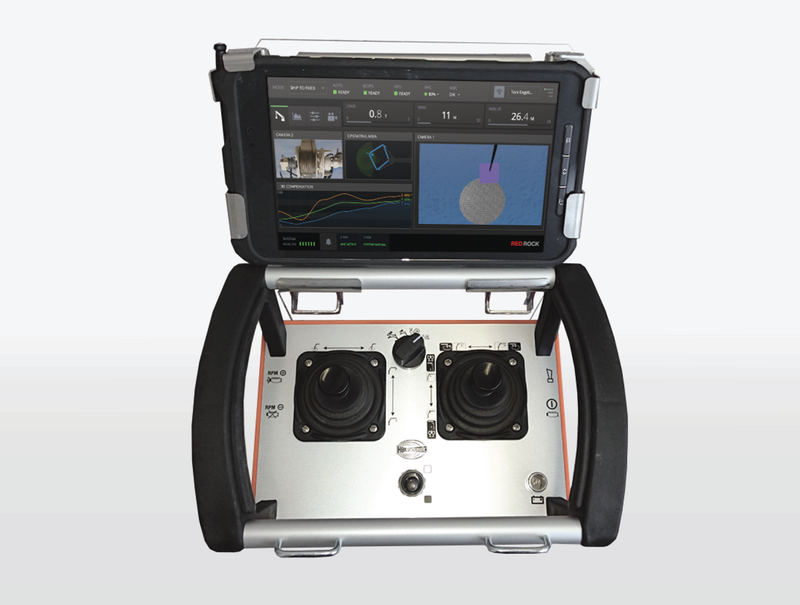 The systems schematics creates greater operational flexibility where the operation can be controlled from an operation cabin, wireless remote control, from the bridge and even from an onshore operational center in certain conditions. The system will also prepare you for the operations of the future with both condition based maintenance, cloud connection, and it is even prepared for the future of autonomous operations. This gives our customers less downtime, faster and safer operations. 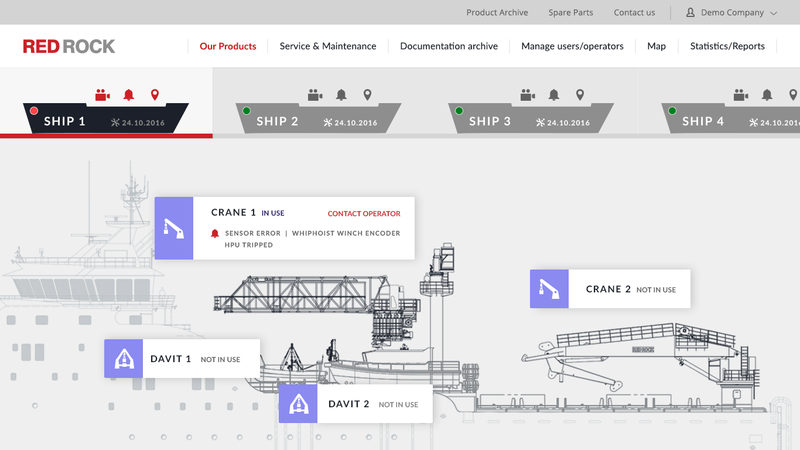 The cloud-based web-portal from Red Rock integrates with all the lifting and handling systems with real-time access to equipment status, operational data, and condition-based maintenance programs. With 24/7 support by highly qualified Red Rock engineers, we eliminate most cases of down time. The cloud solution also enables remote troubleshooting, and will in many cases remove the need to send a technician to the ship. This is a cost saver, and it also avoids unnecessary down time of the equipment. The cloud solution also creates the basis for the future of marine lifting and handling operations and is prepared for remote and autonomous operations.